This site is dedicated to Zach’s memory. 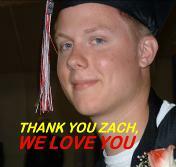 Words cannot express my gratitude for your gifts, prayers and sympathies you have shown all of us upon Zach’s death. For those of you that knew Zach, he had a witty spirit coupled with his desire to do the best he could in everything he did. He loved to play Hockey. 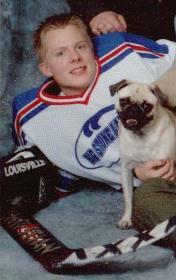 As goalie for the Big Stone Lake Area team in 2004, he recorded his one and only shut out for his team. In his most memorable game he took 71 shot on goal from the opposing team and only lost by one point. He also loved his Bowling. 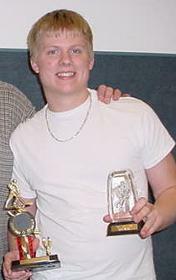 In 2004 at the Alley Cat Lanes, Zach and his senior friends found themselves winning the Monday Night Men’s league, with Zach recording a league high game of 267. He loved to Golf, especially with his family and friends. His competitive spirit always was up for a game of best ball or captain and crew. He loved Ping Pong and was a great player. His Card and Magic Tricks amazed everyone. Those of you that knew him would know that you could never add enough Tabasco to his food, he loved to play Poker and Dominoes and his love for Art Projects was amazing. Zach reached down to young people to touch their hearts, yet never passed up the opportunity to reach up to the older generation and help them or just stop in to say hi. His love for kids inspired him to want to be an Elementary School Teacher. 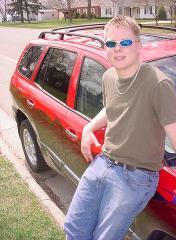 He had planned to pursue that dream at the University of Sioux Falls in the fall of 2004. 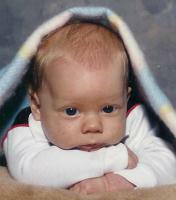 Tragically, Zach left us during the night on July 27, 2004. He died in his sleep due to complications from an epileptic seizure. He also lost his mom in a car accident on February 24, 2000. We pray for them daily, we hope you do too. We miss them both!